February 2013 - Skillman Family Association Inc. According to William Jones Skillman in “Skillmans of America and Their Kin,” Thomas1 Skillman arrived in America on August 18, 1664. In 2014 the Skillman Family Association will celebrate the 350th anniversary of that important event. What better way to celebrate than by holding a Skillman Family Reunion? Beginning in the early 1700s, most of the Skillmans left New York and settled in the central part of New Jersey, primarily in Somerset and Mercer Counties. This area boasts many early Skillman gravestones in the old cemeteries, as well as churches that the Skillmans attended, many original to the period. In a two-day period in 2007 while visiting old cemeteries in central New Jersey, I found and photographed more than 100 gravestones of our 18th, 19th, and 20th century Skillman ancestors. This area of New Jersey, being replete with Skillman history, is a logical place to hold our first family reunion. Contrary to most impressions of New Jersey, the central part of New Jersey where our early ancestors settled is beautiful with rolling hills, rivers, and farms. 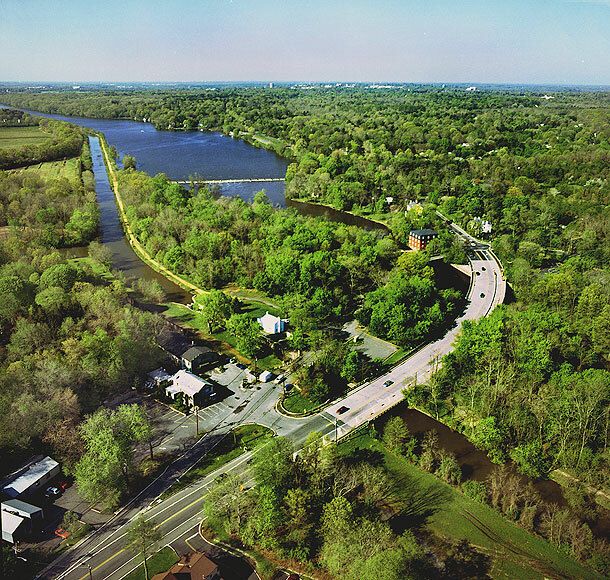 We will allow time for you to explore some of the Skillman history in the area. We will also have meetings on subjects such as our Skillman history and family tree, getting started in genealogy, and Skillman DNA. And there will be social time, allowing you to meet your distant cousins. So please mark your calendar for our first Skillman family reunion in August, 2014, and plan a vacation around it. We will post details on the website as they develop, so please stay tuned. We will also need a Reunion Committee, so please let us know if you are willing to serve. 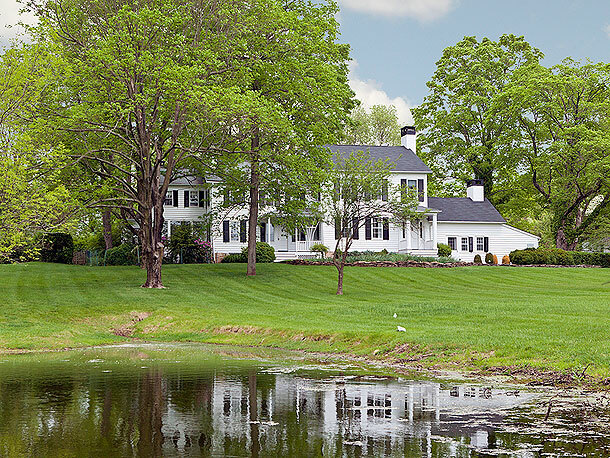 Trevanna Farms, dating to 1727 for its original structure, is now for sale. Originally on a 900 acre farm, it now sits on a more manageable 11.85 acres in Skillman, Montgomery Township, NJ. In the Skillman family for over 150 years, Trevanna Farms belonged to several generations of Skillmans in the line Thomas5, Thomas4 and Isaac3. This magnificent home and property can be yours for a mere $1,195,000! For more details, please take a look at the listing. 9914. John Edward Skillman (Frank William10, John Edward9, David Sylvester8, Jesse Carl/Carr7, Thomas6, Thomas5, Thomas4, Joseph/Joost3, Thomas2, Thomas1) was born on 11 Apr 1924 in New York. He died on 17 Jan 2001 at the age of 76 in Westerville Care Center, Westerville, OH. John Edward Skillman and Jeannette Iris Gardner were married on 27 Apr 1945. (London Records show wedding as 1946) John Edward Skillman and Jeannette Iris Gardner had the following children: etc. “I found one Jeanette Skillman in London. I found I already had her marriage in 1946 in London but she was on her own. I found her birth — born in Lambeth, London — but no sign of her husband John E. Skillman. 55. SKILLMAN, Jeannette I. 21 F 139460 British 106 Grantham Rd, London S.W.9. This tells us that American GI John E. Skillman, and English Jeannette Iris Gardner had a romance in war-torn London, married and came to live in America. History brought back to life! As you may have seen on the TV news or in your local newspaper, the skeleton of England’s King Richard III has been located after 500 years under a parking lot! The head archealogist at the University of Leicester, Richard Buckley, announced yesterday that “It is the academic conclusion of the University of Leicester that beyond reasonable doubt, the individual exhumed at Greyfriars in September 2012 is indeed Richard III, the last Plantagenet king of England.” The young king was killed at the Battle of Bosworth Field in 1485 by a rival army led by Henry VII. Richard III’s remain were lost in the religious reforms of King Henry VIII and have been missing ever since. An archeology team used period maps and ground penetrating radar to locate the skeleton in a parking lot of the remains of the Greyfriars friary in Leicester. The skeleton was exhumed about five months ago and study has been going on ever since. Additional confirmation that the remains were those of Richard III was provided by DNA testing of two living lineal descendants of his sister. 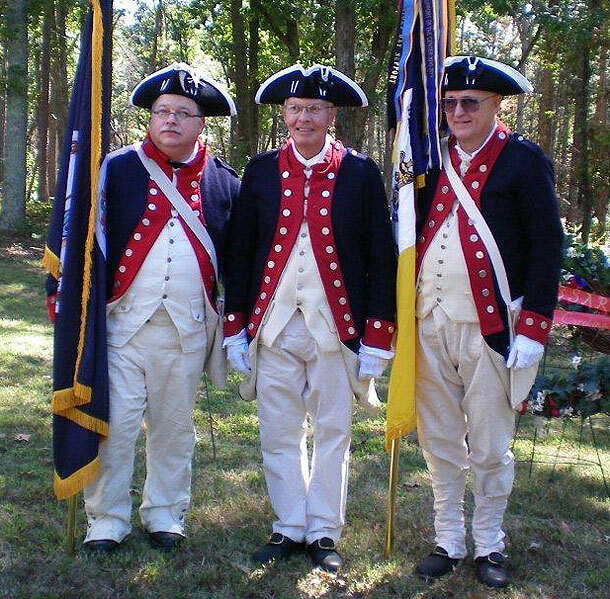 Many of our Skillman ancestors served as soldiers in the Revolutionary War, either in the Continental Army or the various militias. Many who did not serve in military units supported the cause of America’s independence in other ways, such as service in local municipalities or other acts that supported the cause of the Revolution. Many paid local taxes or otherwise made monetary contributions to support the army, and many gave supplies such as horses and wagons, leather, cattle and wheat. My 4th great grandfather, John4 Skillman of Kingston, NJ, was a tanner who gave sides of leather to the Continental Army. His tannery was discovered by the British and burned to the ground, for which my 4th great grandfather is considered a Patriot. The Sons of the American Revolution (SAR) and the Daughters of the American Revolution (DAR) are lineage societies whose members are descended from a Patriot who either fought or supported the cause of America’s independence is some verifiable way. The websites of the SAR and DAR have a list of Patriots who have already been recognized by these organizations as meeting the qualifications of membership. Since our Skillman lineage dates back to Thomas1 Skillman, the first Skillman who arrived in America four generations before the Revolutionary War, it is quite likely that many members of the Skillman Family Association qualify for membership in the SAR or DAR. I have been a member of the SAR since 2004 and am currently the President of the Tampa Chapter in Florida. I am experienced in the process and paperwork required for membership in both societies and would be glad to help any member of the Association who wishes to join either the SAR or the DAR. (You can find my contact info in the Membership Directory.) Both are very patriotic societies whose purpose is to preserve the values and history of the Revolutionary War and the founding of the United States of America. As with membership in the Skillman Family Association, membership in these societies is another way to honor our early ancestors. There are many other lineage or heritage societies for members whose early ancestors may have been recognized for specific events. Included among them are the Society of Mayflower Descendants, the Jamestowne Society, Descendants of Washington’s Army at Valley Forge, and the Sons of Union Veterans of the Civil War and the Sons of Confederate Veterans. All of these organizations have websites which explain their purpose and membership requirements.